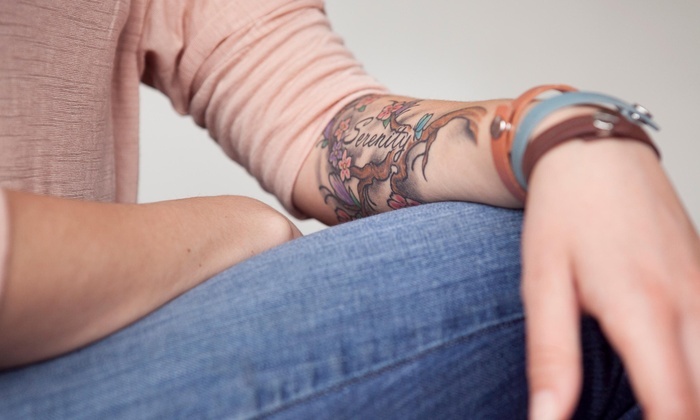 Tattoo regret can leave one feeling depressed and with an urgent need to have their tattoo removed immediately. Currently Laser Tattoo Removal and Surgical Excision are the only two removal options available that provide results. Laser Tattoo Removal is the most common and safest removal procedure that can provide impressive results with each treatment. The treatment involves the use of high-powered lasers emitting a highly focused laser beam that directly targets the tattoo. It passes through the outer skin layer and is absorbed by the tattoo pigment. Tattoo removal will involve many treatments, and there can be some pain associated during each treatment. Laser tattoo removal is also an effective treatment option for removing a tattoo no matter what the size. The second alternative to Laser Tattoo Removal is surgical excision. This may be a good option for patients that are looking to have their tattoo removed immediately; however there are many things to consider when choosing an excision procedure. First the size of the tattoo and location will be a determining factor when deciding if you are a candidate. Smaller tattoos work best. In the case of a large tattoo, serial excisions must be performed, in which portions of the tattoo are removed to allow the skin to heal, thus avoiding the use of a skin graft. Extra skin to close a tattoo excision is required for best results. Ultimately a surgical scar will be left behind, but the results are immediate. While there are choices for Tattoo removal, speak to your specialist to see which option that best suits your needs. For more information on Laser Tattoo Removal in Toronto visit www.lastinglooks.ca/laser-tattoo-removal-toronto at Lasting Looks Clinic.